Wrongful death as comedian Jim Carrey is to be tried for death of girlfriend Cathriona White. This was after a trial judge indicated that she would not yet throw out the case brought by White’s mother and ex-husband who are insisting that the star had a hand in her death. In fact Brigid Sweetman who is White’s mother, claims the actor was the one who provided the prescription drugs that her daughter eventually overdosed on. 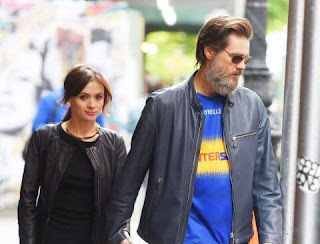 But Carrey’s lawyer, Raymond Boucher, siting the ridiculousness of the charge, had filed a motion to dismiss the case, which the judge has now rejected. Cathriona White was a 30 year old make up artist who Carrey split from just days before her death. Beside her bed was found a bottle of pain killers which had been prescribed to a pseudonym of Jim—Arthur King. Before she died he had sent her a text asking about a bottle of his prescription pain killers which had gone missing. The same which was found by her bedside and of which she overdosed on. White’s death was ruled as suicide with the LA County Coroner’s office releasing details from the post-mortem in July 2016. But The saddened comedian will now face a trial for the death of his girlfriend.